...and I still can't decide which to send, although I'm leaning towards shipping the commissarial looking lady on the left. I'd better decide soon -- I'm already late in sending these out. 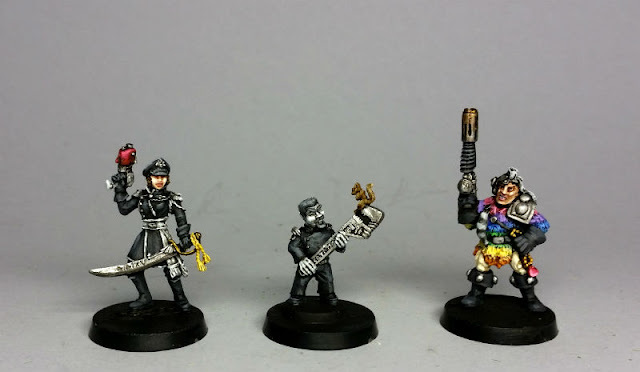 Nice paint jobs - I really like the monochromatic spanner boy, the squirrel adds a lovely spot colour. Thanks! I ended up packing the commissar and keeping the spanner dwarf. It's such an odd figure.